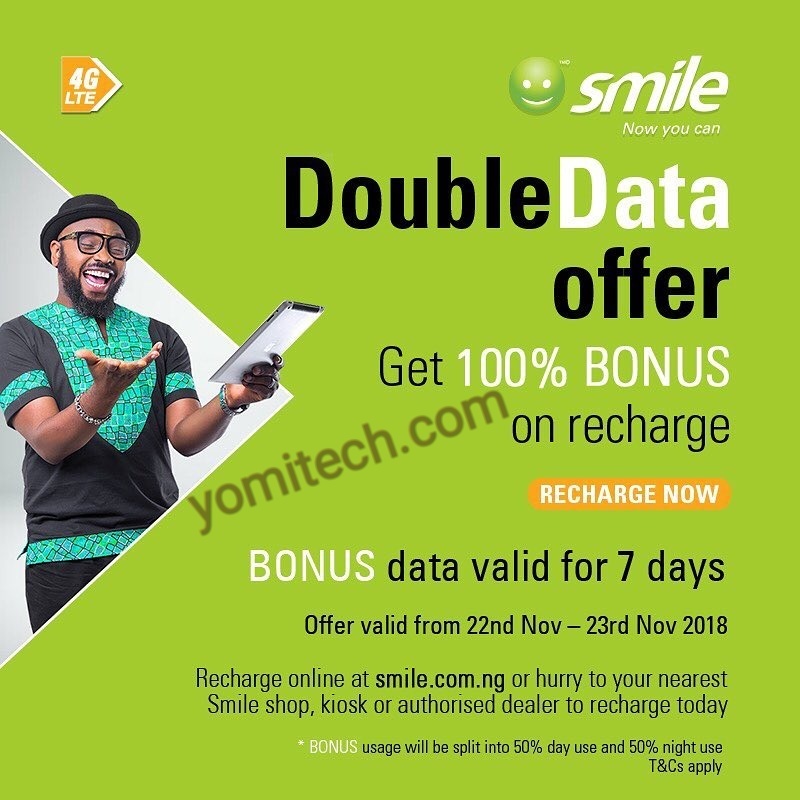 Simle 4G has just launched a new All-in-One SIM offer for its subscribers. This plan gives users more value for their money especially in terms of calls and SMS. 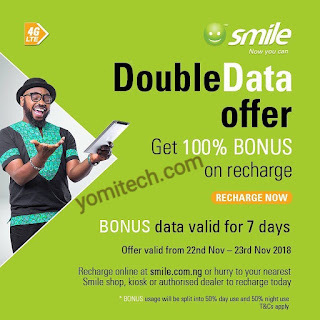 The new All in one offer from Smile gives you unlimited on-net calls, 250 minutes to call other local networks, 150 SMS and 1.5GB of data. There is also no roaming charges and you can make calls from abroad at the same local rate. The package cost N3000 and it's valid for 30days. You can check if the Smile 4G network coverage is available in your location by clicking on this link.